Real blues music continues to persevere alongside supposedly “evolved” forms with which it has little in common beyond (sometimes) a common 12 bar structure. Two of its staunchest champions are Chris James and Patrick Rynn. The duo’s new album, Barrelhouse Stomp, drawn from 2009 and 2011 sessions in the company of such all-star contributors as Willie Smith and Willie Hayes (drums), Eddie Shaw (tenor saxophone), Jody Williams (guitar), and David Maxwell, Henry Gray, and Aaron Moore (piano), is a marvel of fresh traditionalism. James & Rynn, with Rob Stone, write much of their material. “Goodbye, Later For You” shares a tempo and melody line, and an assertive vocal delivery, with such Muddy Waters recordings as “I Live The Life I Love,” and swaggers even more aggressively. “Just Another Kick In The Teeth,” a funky grind punctuated by blasts from a sax trio (Norbert W. Johnson, Johnny Viau, and Shaw), steps into the ‘60s. The solo spots put Shaw, Williams, and bassist Rynn front and center. The instrumental “Messin’ With White Lightnin’,” with its wild, scratchy rhythm guitar and busy bass line, is a perfect Bo Diddley pastiche. David Maxwell takes a terrific piano solo, his heavy attack giving the notes a weighty emphasis, but the star is Williams, whose bloodcurdling lead guitar was the MVP, of course, of Diddley’s “Who Do You Love.” His lines here are a canny mixture of biting single notes and stormy flurries, tangled bends and slippery double-stops. James’s own guitar solo takes the song out, extending Williams’s themes with furious abandon. Where “Before It’s Too Late” unfolds easily, paced by Moore’s piano, “A Fact Is A Fact” blasts off like a newly-uncovered Broomdusters tune, rocking with fevered, Elmore James-inspired slide work and replete with hard-riffing horns. “It Can Always Be Worse” is a driving shuffle built on a version of Magic Sam’s West Side groove and melody line, with James’s first recorded harmonica work–really solid unamplified playing–leading the charge. Despite the loose, bleary feel of the rumba-style “Last Call Woogie,” the band executes stops as crisp as a gin and tonic. James and the great Louisiana piano man Henry Gray, best known for his work with Howlin’ Wolf, are the featured soloists. Peppered throughout the album is a handful of fine covers. Big Bill’s “I Feel So Good” arrives early in the set, with the balance clustered near the album’s end. James and Rynn turn Robert Nighthawk’s rollicking “Take It Easy” into a tribute to Pinetop Perkins, with David Maxwell hammering home chorus upon chorus of flying 88s. The group strikes a beautiful lope as James improvises lengthy variations on Elmore’s instrumental “Bobby’s Rock.” Always a confident vocalist refreshingly free of mannerisms, James convincingly hollers Little Brother Montgomery’s “Vicksburg Blues” (a song that lets Williams reprise the guitar part he played on its close relative, Wolf’s “Forty Four”), and outdoes himself in the infectious take on Junior Parker’s “I’m Gonna Stop Foolin’ Myself,” where Williams’s playing is even tougher than on “Lightnin’.” Viau’s honking tenor solo and a powerful groove maintain the tune’s uptown feel. Listeners familiar with James and Rynn’s history will know not only the tandem’s two previous, highly acclaimed albums of ‘50s-inspired blues, but their recordings with harp man Stone’s C-Notes, their appearances on a number of releases produced by Phoenix harmonica ace and blues impresario Bob Corritore, and projects with Sam Lay, Dennis Binder, and Jody Williams, all demonstrating a deep respect for blues as the music ought to be played. 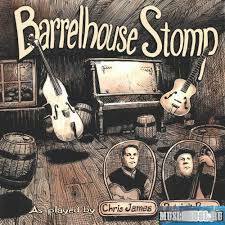 Barrelhouse Stomp, a superb addition to their body of work, proves that traditional blues remains vital, appealing, and exciting. I received the review copy of this CD from a publicist, Blind Raccoon. In 2013, Tinsley Ellis released Get It, an all-instrumental album, somewhat unexpectedly composed of straightforward blues and rootsy rock songs. Now he returns with something more in line with what we have come to expect from him over 15 or so records and about 30 years in the trenches. Midnight Blue makes an emphatic statement confirming Ellis’s position not only as one of our great guitarists, but as a superior writer and singer of straight-ahead postwar electric blues and rock. Perhaps at the sacrifice of some accuracy, I’m going to cover what Ellis and company are up to under the umbrellas of three broadly defined styles. Long acclaimed as one of the most intense and creative artists in blues rock, Ellis is assured enough to open Midnight Blue with a relatively slow number, “If The River Keeps Rising,” which starts with just his rhythmic but delicate acoustic guitar and plaintive vocal. When the band comes in after the first verse, the sound explodes into a bluesy slam, à la Zeppelin’s treatment of “When The Levee Breaks,” replete with Lynn Williams’s Bonham-worthy drumming and several thickly overdriven electric guitars woven into the mix. Between its melodic sense and guitar work that, in its phrasing and high gain tonality, recall strongly Eric Clapton’s late-‘80s Journeyman period, “Harder To Find” is an affecting and atmospheric midtempo rock ballad, with an absolutely lovely middle section and chorus. Touches like a slow-wash sound that might come from a Leslie cabinet are emblematic of the attention to sonic detail on this record. “The Only Thing” is a solid blues shuffle with stops, very much in the vein of “I Ain’t Superstitious,” that splits the difference between Howlin’ Wolf and the Jeff Beck Group. Ellis’s toppy lead guitar sound pushes it perhaps in the direction of the latter, while “Mouth Turn Dry,” a Wolf-like stomp, sports wiry guitar breaks that recall both Hubert Sumlin (naturally) and Otis Rush. Its powerful lyric touches on romantic doubt, self-centered fear, and the dangers of drink. “That’s My Story” is a heavy rocker on the slower side, set to the pulse of a steady eighth-note bass pedal, with a superb guitar ride-out that focuses more on rhythm and feel than flash. 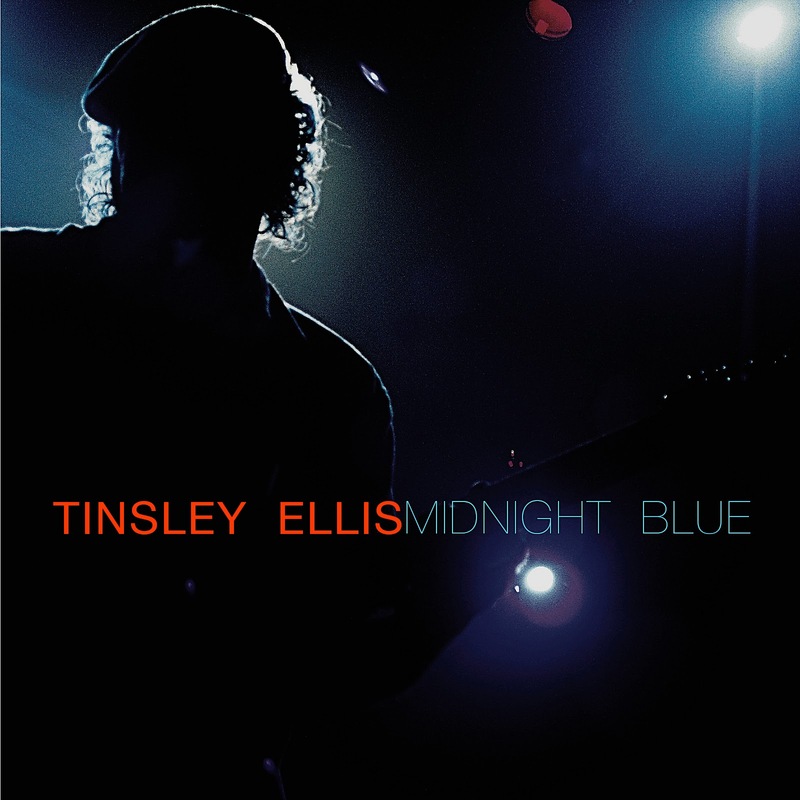 While its edgy groove doesn’t really sound like anything I would expect from Tinsley–something like AC/DC, but with a swampy CCR vibe–it is excellent. At times, Ellis has dabbled in R&B and even soul. He returns to those styles here with “It’s Not Funny,” which features a second line beat, direct from New Orleans. The mid-song breakdown is just part of hip overall rhythm arrangement, rounded out by Ellis’s tough, Lowell George-inflected slide guitar and the song’s “Iko Iko” family feel. Its title reflects perhaps the most obvious and clever turn of phrase that should have been written into a song years ago, but wasn’t. Great call, Mr. Ellis–that is how to do it! “Surrender” is a pulsing, slow- to midtempo track with a decidedly soulful edge; call it Boz Scaggs meeting Dire Straits at their dreamiest, or something The Wallflowers might once have cut. Perfect R&B-based fills and a melodic lead guitar that escalates in intensity accompany Ellis’s quiet, honest, vocal–a performance that fits the song beautifully. The ascending chord pattern behind the likewise beautifully sung “Peace And Love” comes from somewhere in the ‘60s soul universe. Its funky, Muscle Shoals feel, accentuated by Kevin McKendree’s organ and electric piano, is cast into interesting contrast by Ted Pecchio’s very Beatles-esque bass line. About this time last year, Ellis described himself to me, I thought apologetically, as “the rock guy” in the Blues At The Crossroads 2 package, a tour that featured The Fabulous Thunderbirds in support of guests James Cotton, Jody Williams, Bob Margolin, and Ellis. The conversation took place just moments after he had delivered a set of stellar pure blues, beautiful and savage by turn. Here, he does it on “Kiss Of Death,” a spare slow blues taken at a funereal pace, much in the mode of “Double Trouble”–I mean the timeless Otis Rush song, not SRV, folks–and does it just right. The stark, late-night ballad “See No Harm” borrows its elegant, emotional changes from Ray Charles at his most gospel-drenched, back in the Atlantic days, and rivals Brother Ray for feel and passion. Believe me, I would never type that if I didn’t mean it. This is killer stuff. McKendree’s piano is sublime, and Ellis’s fills and solo are tough and to the point without breaking the mood in the slightest; his guitar tone is woody and appropriately old school. Bravo! Never mind his history with the Heartfixers; let no one suggest that Ellis in 2014 cannot sing and play blues with the best. I am afraid that, over the years, I forgot just how good Tinsley Ellis could be, or at least began to take him for granted. His recent work has made my lapse impossible to sustain. Anyone who likes blues-based music should find much to appreciate on the excellent Midnight Blue. Review copy of the CD was provided by the publicity firm Blind Raccoon.